WARREN, PA--(Marketwire - Oct 30, 2012) - McKissock, a leader in continuing education for real estate-related professionals, has outlined five ways to keep home inspectors on the job. Rookies and veterans alike have the same things to consider as the industry changes; this list is applicable for anyone who needs to keep their income flowing. McKissock is a trusted resource for state-specific, state-approved home inspection courses, regulation information and compliance. 1. Don't Compromise Safety. Although obvious, there are safety precautions that every home inspector should never ignore. It may be as simple as ensuring that you have the correct safety clothing and equipment, but this is the foundation of the home inspection profession. 2. Make sure your license and insurances are up to date. It's absolutely critical to have a current license and insurance. Even if your state does not require licensing, insurance should be a "must have." Know your renewal date and schedule continuing education classes early enough so you are not in fear of a license lapse. 3. Know Local Laws and Legislation. Each state and local jurisdiction has their own laws that pertain to the home inspection industry and they do tend to change. Make it your responsibility to understand local laws and ensure you are not putting your license and career in jeopardy. 4. Practice Practical and Successful Reporting. 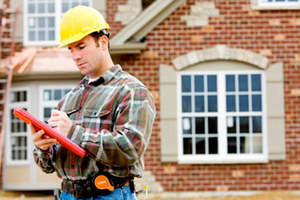 How home inspectors take notes, document findings and present results to clients is of paramount importance. There are always ways to improve these reports and increase the potential for repeat business. In addition, all records need to be maintained as required by state regulations. 5. Stay on Top of New Trends. Whether it is the increase in green building practices, the usage of dangerous construction practices or materials, or any other new construction trends, it's a home inspector's duty to know about the latest-and-greatest materials and techniques. "Home inspectors are busy professionals who provide an important service," says Annie Creek, New Market and Compliance Specialist at McKissock. "We are committed to helping home inspectors deliver up-to-date knowledge to their customers and have the confidence that they are complying with their state or association's regulations." From the McKissock website, home inspectors have access to all they need to fulfill state requirements, including governing agency information, and can begin taking required coursework immediately. McKissock offers customizable packages, individual courses and affordable webinars. For more information visit, http://www.mckissock.com. McKissock is an education company that educates, empowers and enriches professionals in real estate, appraisal, home inspection, land surveying and engineering. McKissock gives specialists a place to go to access relevant, easy-to-use and high-quality courses that provide the hours and information necessary to meet state compliance and regulation requirements. Founded in 1990, McKissock offers more than 100 courses and serves thousands of professionals daily. The company is focused on providing a superior customer experience that will help professionals move their career forward. To learn more, visit www.mckissock.com. McKissock is a leading education provider for home inspectors.